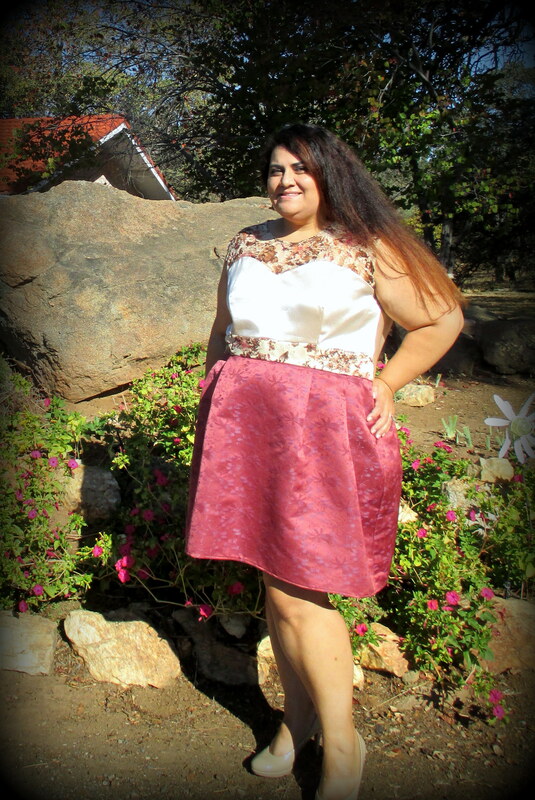 Although I was eliminated from the Fashion Challenge contest, I still finished this week’s challenge, which was the Salme Yoke Dress. We were told about this challenge over a week ago in order to purchase the pattern. I’m not sure why they chose this pattern or if they even tested it out before they picked it. 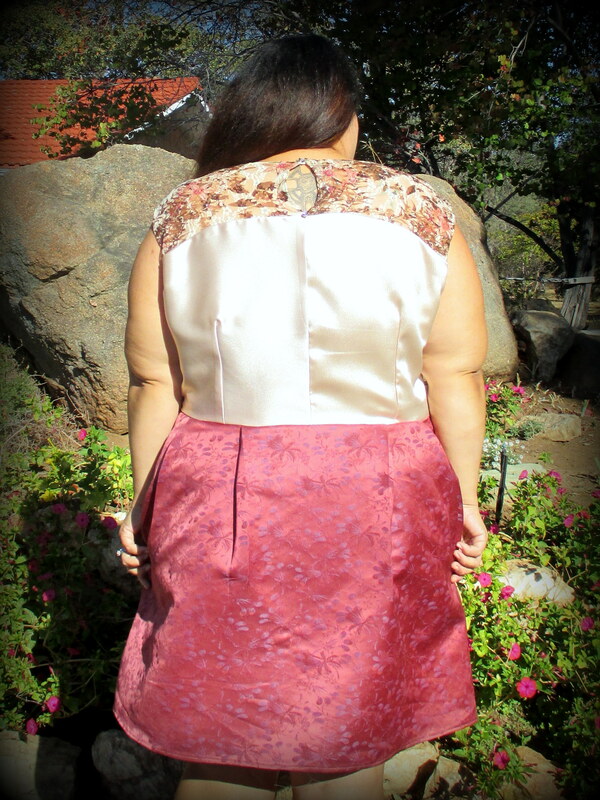 There were no reviews and little information I could find when searching for the pattern online, which is something I nearly always do when purchasing patterns, especially from an unfamiliar source. Was it the price? If so, The Colette Macaron (a similar yoke dress pattern) could have been downloaded for just a few bucks more. 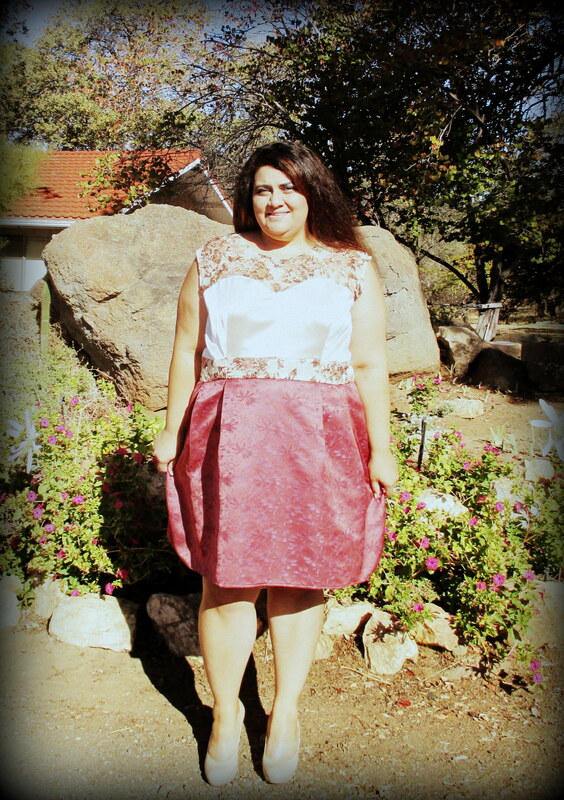 I’d never even heard of Salme Patterns, but I thought the dress would be cute on me with some modifications. This pattern is sized small and is meant for small and petite women, of which I am neither. It also has no seam allowances. I had to get my rulers out and do a lot of math and drafting to get this pattern to fit me and I basically redrafted a new muslin pattern. I am used to having to alter patterns and grade them up, but never to the extent as this pattern. Pair that with the fact that I hate PDF patterns and I was not a happy camper. However, I now have a custom fitted pattern and got myself geared up to work with a vintage 1952 dress pattern which should arrive in my mailbox shortly and will have to be graded up as well. 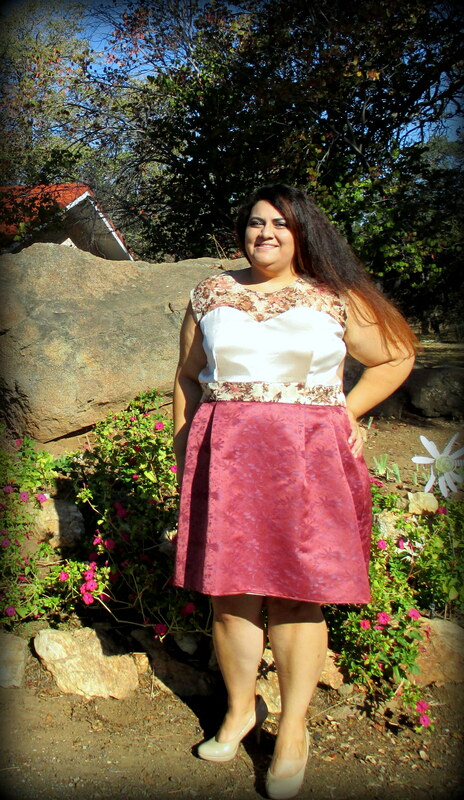 I decided that I was only going to use fabrics that I had in my sash, so I went through my boxes and found these three fabrics that went together. 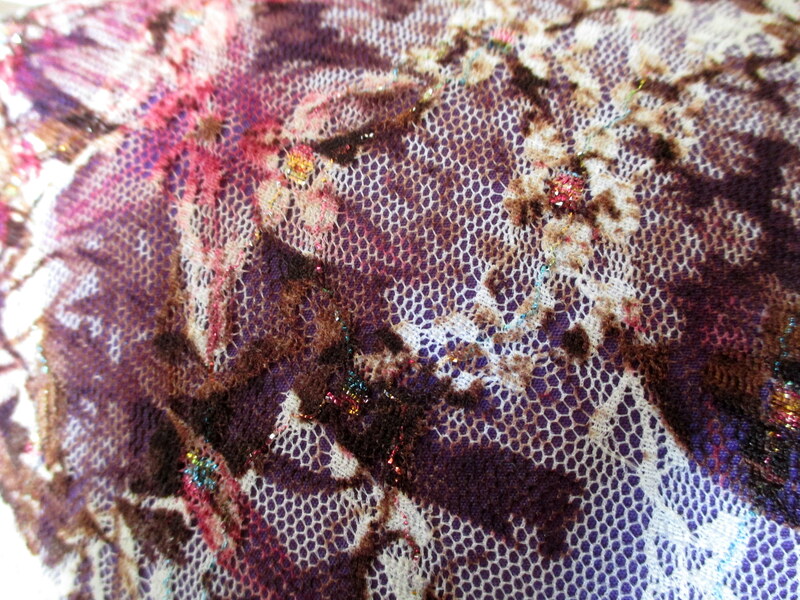 I based my fabric choices with the lace that I wanted to use for the yoke. 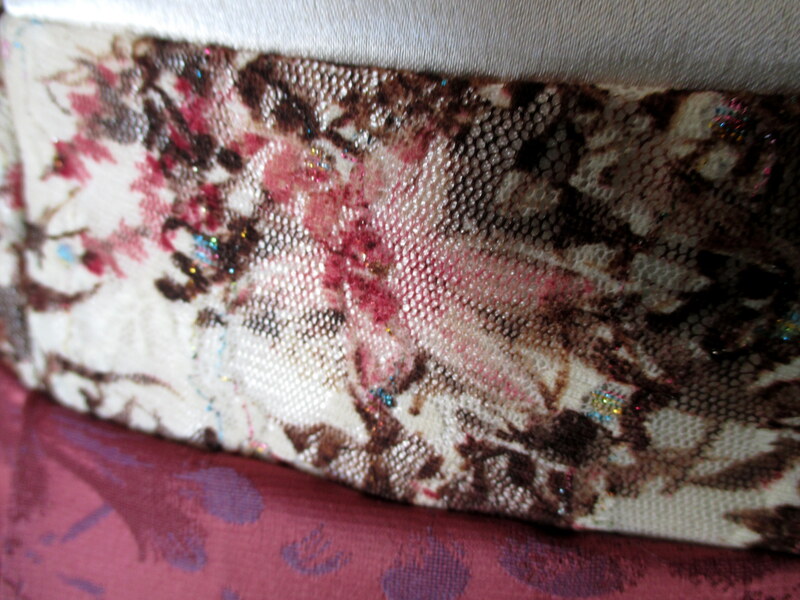 It is a champagne, dusty rose and chocolate floral lace with some glitter dots that I bought from Fabric Mart a few months ago. I got it to use in lingerie making (which I still haven’t done….). 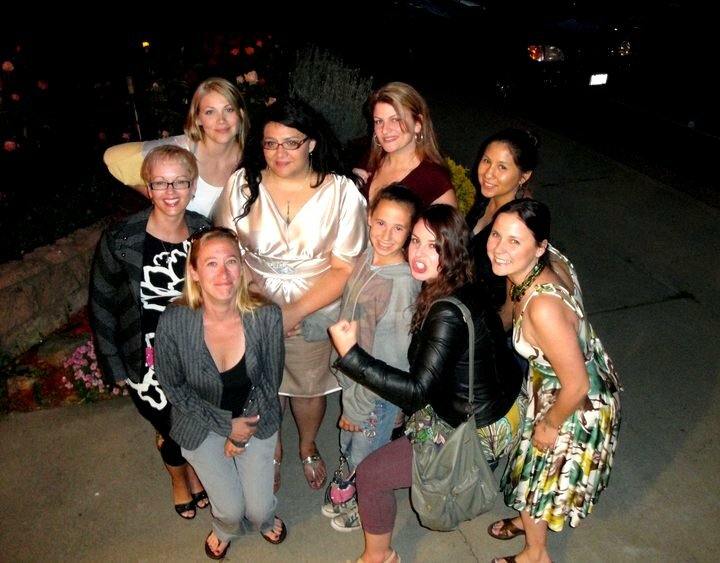 It went beautifully with the remnants of champagne crepe back satin that I used to make a kimono dress for my wedding rehearsal dinner. 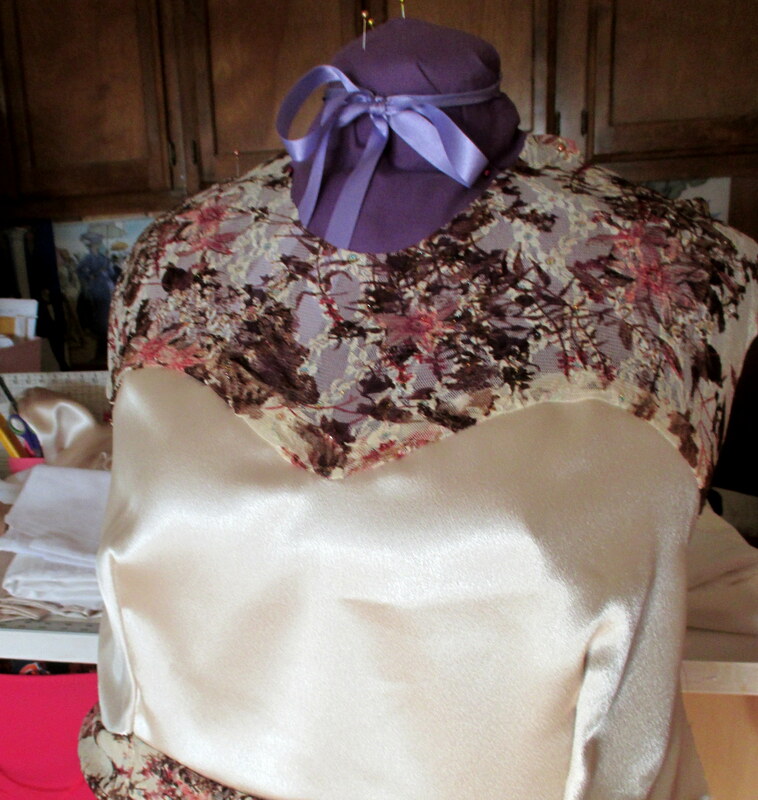 I bought this lovely poly satin at a local indie fabric store and only had enough to make the bodice. The pattern I used is McCalls 5579, which is an out-of-print pattern. I love kimono dresses and this pattern is great except for the skirt. 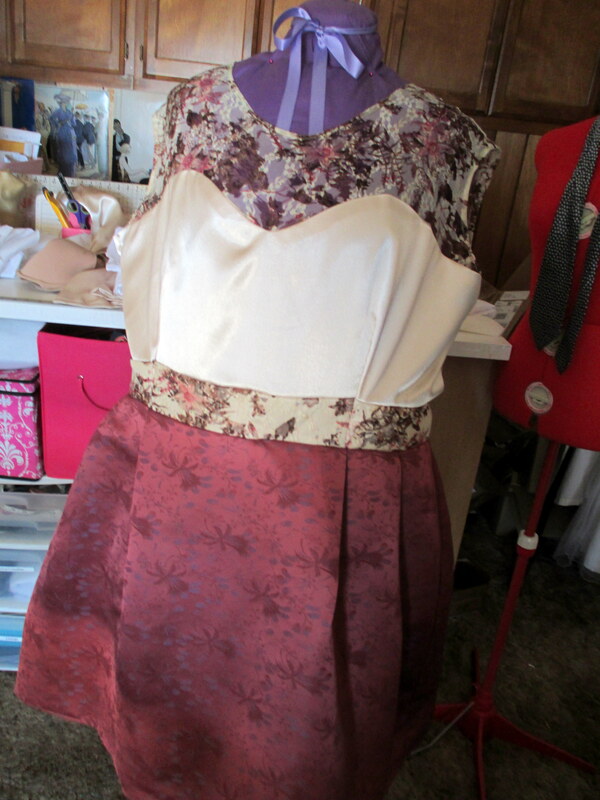 It is narrow and hard to sit in, so when I made it again out of a cotton blend fabric, I widened the skirt. Anyway….. 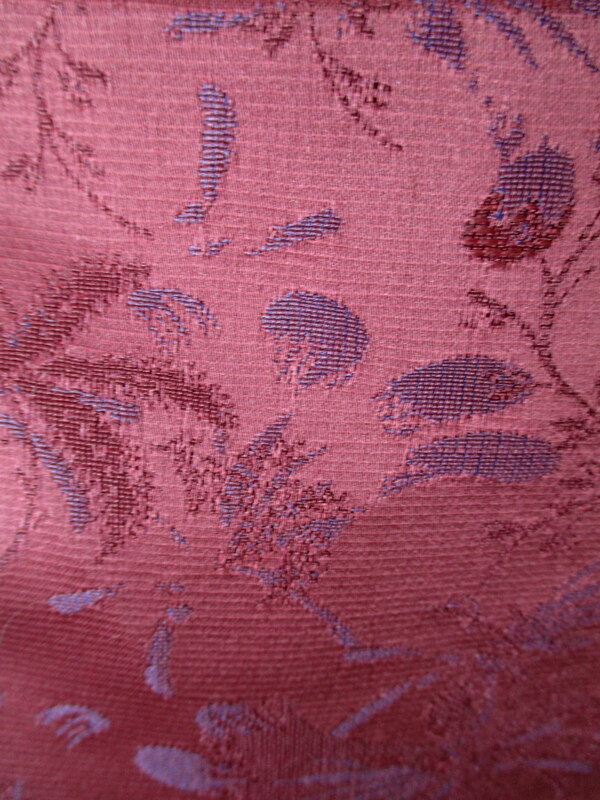 I used this dusty rose Maggy London brocade that I bought from FM many months ago to make curtains in my sewing room. I bought A LOT, so I still have plenty to make my curtains, whenever I get around to that…. 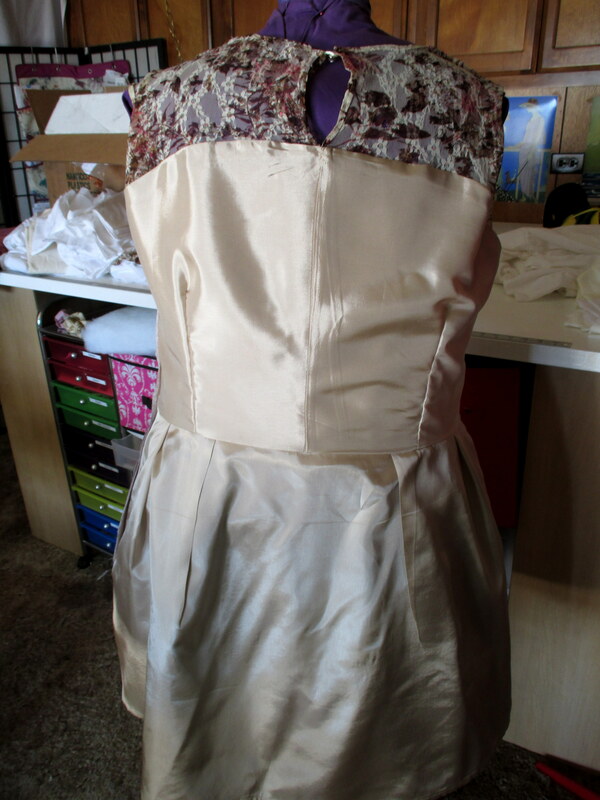 Besides altering the pattern to make it larger, I also lengthened the skirt and widened the shoulders on the yoke. 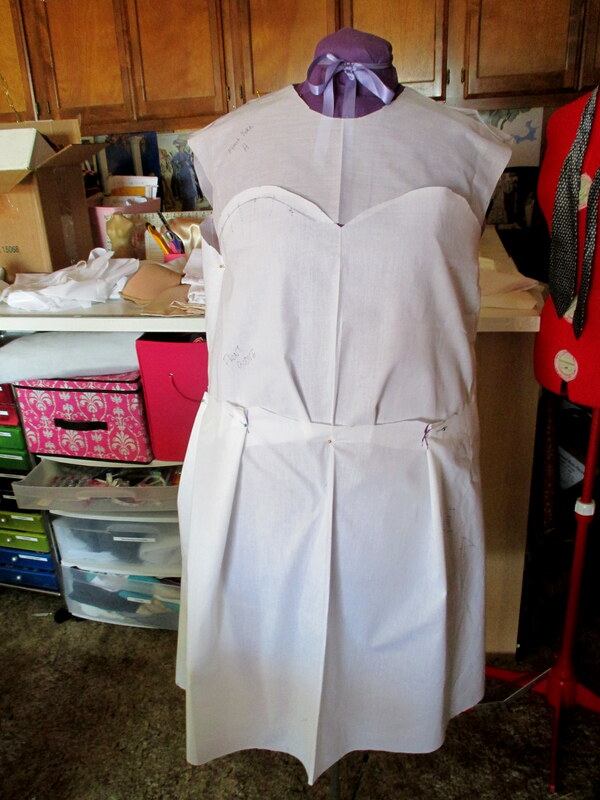 Originally, I had planned to add cap sleeves, but I forgot that I was going to…. 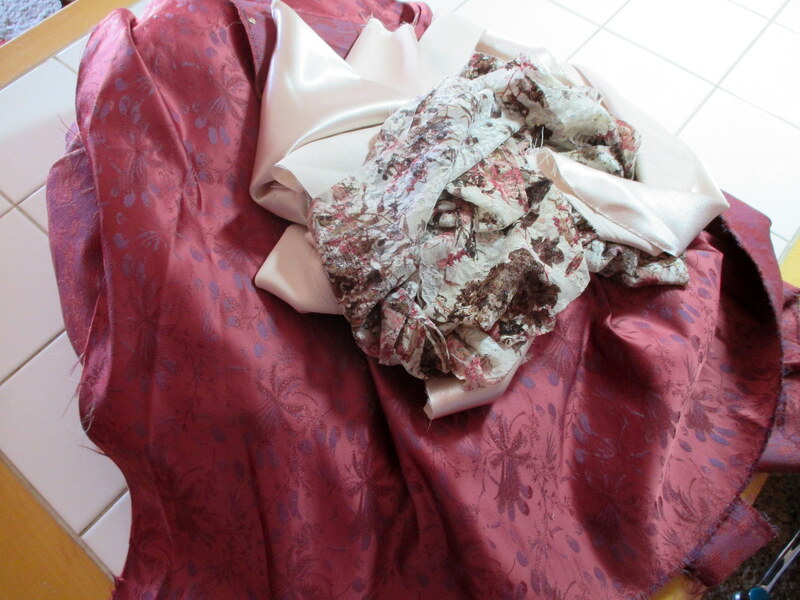 lol I was also going to make the skirt even longer than my re-drafted muslin pattern, but I also forgot to do that….. Honestly, where was my mind that day? Too busy watching Vertigo I suppose…. I do like the length, though. It’s fun and more modern than most dresses I make. I’m wearing this to a wedding next month, so it will be perfect for the occasion. I did not follow the instructions at all, nor did I finish off the yoke with bias tape. Instead I did a rolled hem on all of the edges. 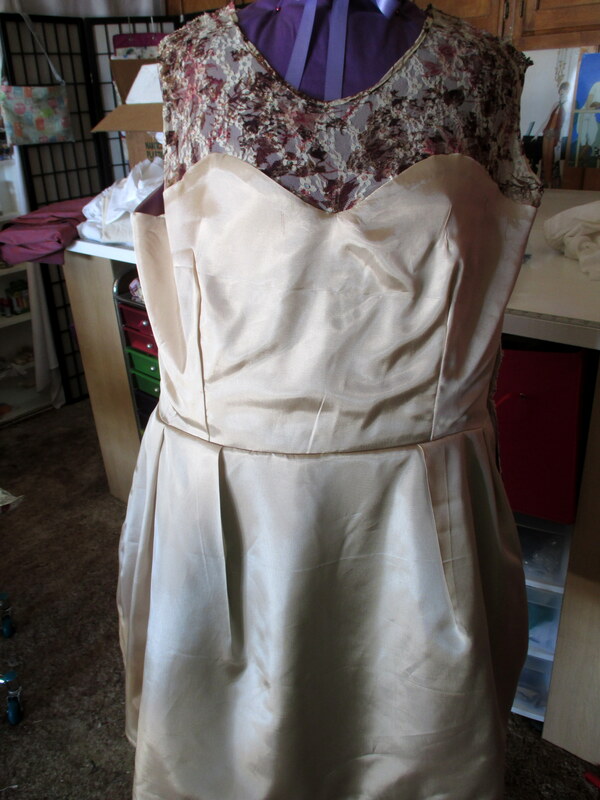 I love the sweetheart neckline, so I definitely did not want to change it. I don’t have any dresses with sheer yokes, so I wanted to leave that feature as well. The “belt” detail on the front of the bodice basically came about because I was working with a fabric remnant and I didn’t have enought to cut out the front of the bodice, so I made that with two pieces of crepe back satin together with a lace overlay. I really like how that turned out! I found these gorgeous buttons at Joann’s for the back closure. I used some cream colored cording for the loop. 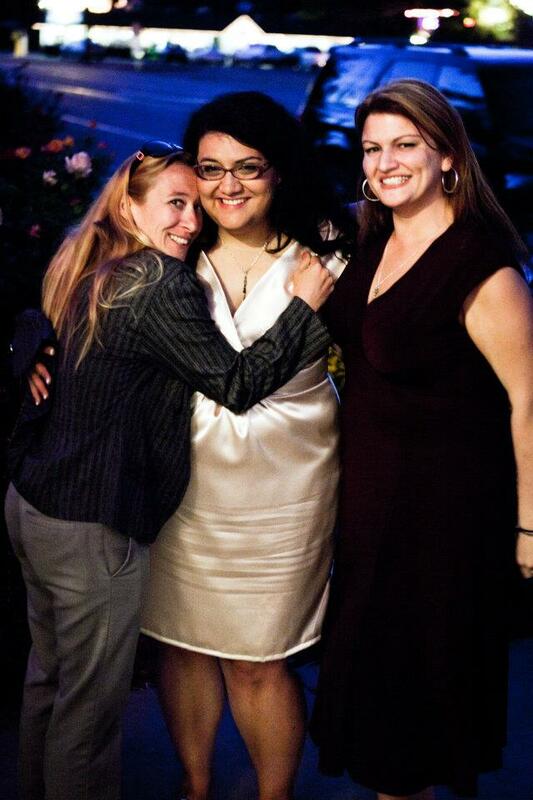 I fully lined this dress with a Vera Wang acetate lining I got from FM a few months ago. I also pleated my skirt differently than the pattern suggested. Aw, sorry to hear you were eliminated from the challenge. But, good job that you did not give up and made this dress challenge as it’s just beautiful! I love how it fits you and the shiny fabric. Thank you! 🙂 This crepe back satin is divine. Almost as luxurious as silk and not stiff. Love love love the print combo you chose. Nicely done! Very nice! Well done to you on your grading task! It’s very pretty. Great job grading up. I just started following you from the Fabric Mart Challenge. Was sorry to see you got kicked off. 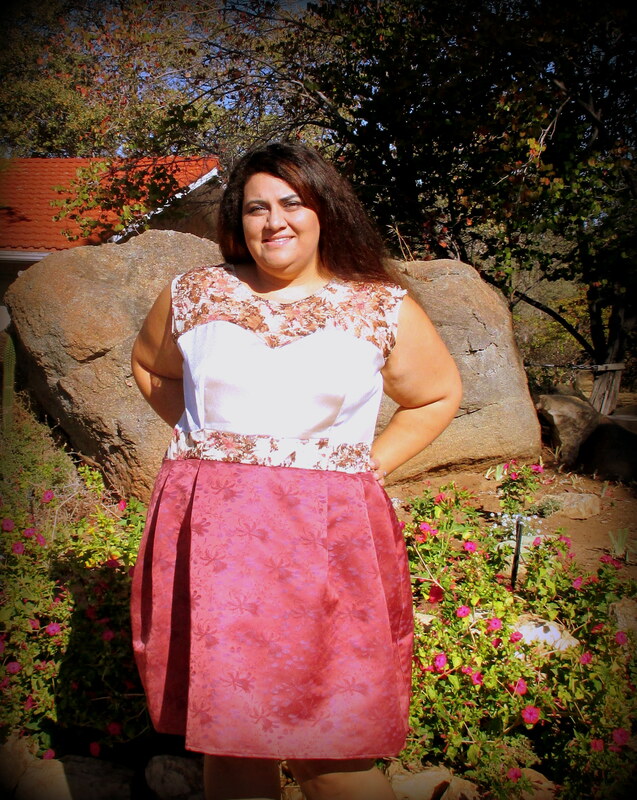 Love the colors that you used for the dress, the lace yolk fabric is beautiful and paired so well with the bodice and skirt fabric. You did great resizing the pattern. Job well done! I love the lace, too, and was happy that I was able to use it. You do such a great job of grading up your patterns, very inspiring. 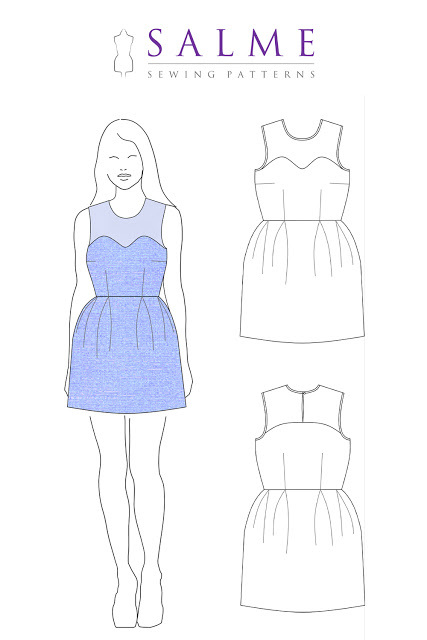 I have that pattern on my Pinterest but have ended up buying a Victory Patterns Ava dress. I am surprised that the patterns weren’t made available to the contestants for free, sponsored rather than you having to buy specific patterns??? I haven’t tried any victory patterns yet. I should put that on my to-do list. This contest is poorly run without much forethought. I was surprised to have to buy a pattern as well. Many companies would have gladly sponsored it. Good on you for finishing this- I love the fabric combinations you chose! I’m happily surprised how it turned out! The fabrics look great together. I love that you were able to pull them from your stash. And your workmanship is amazing. The lining is beautiful. Great work. I think that you made a lovely dress out of what you were given. It’s definitely a very youthful dress. That came out great, Tanya! The lace is a perfect accent and I think that the way you pleated the skirt is much more flattering. Yes, that dress, as designed, is much more suited to my 18- and 20-year old daughters than it is to me! Thanks, Shams! Like Kathy said, definitely a junior dress! This is killer! I love little details like the button back. The sizing is absolutely junior sizing (I had to tweak it to fit my taller, wider features.) I’ve made the Colette Macaron a load of times (pre-blog days, I have no photos) and found Salme to be a simplified version of it. You did a great job grading it!! 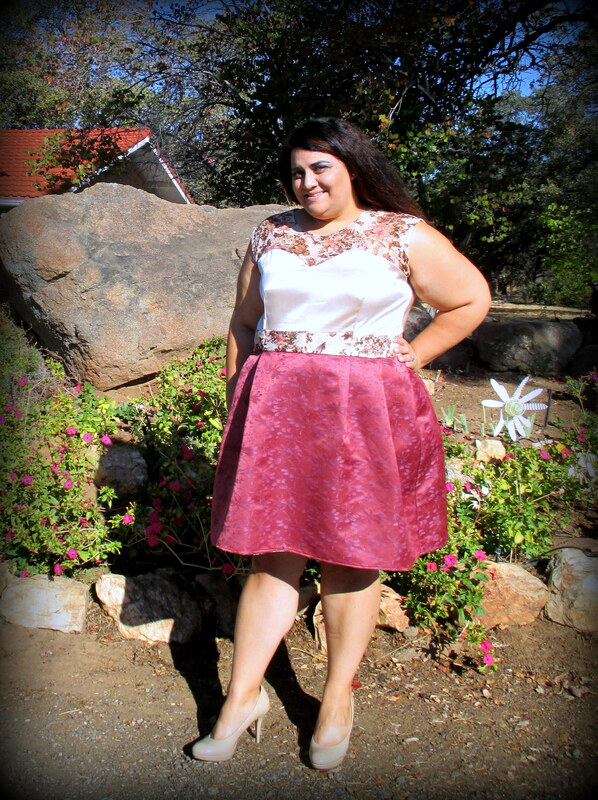 So much work here on this dress and it was worth it! Thanks, Kathy! Yes, it’s definitely junior sizing. I was thinking how the original pattern would be better suited for my nieces, but I love how it turned out with the tweaking. The lining looks awesome….always the sign of well-constructed garments in my mind. I usually follow pattern instructions, but it was pretty easy not following them this time! I should take more photos of the insides of garments. I rarely remember to do that! So glad you went ahead and finished this because it turned out lovely. 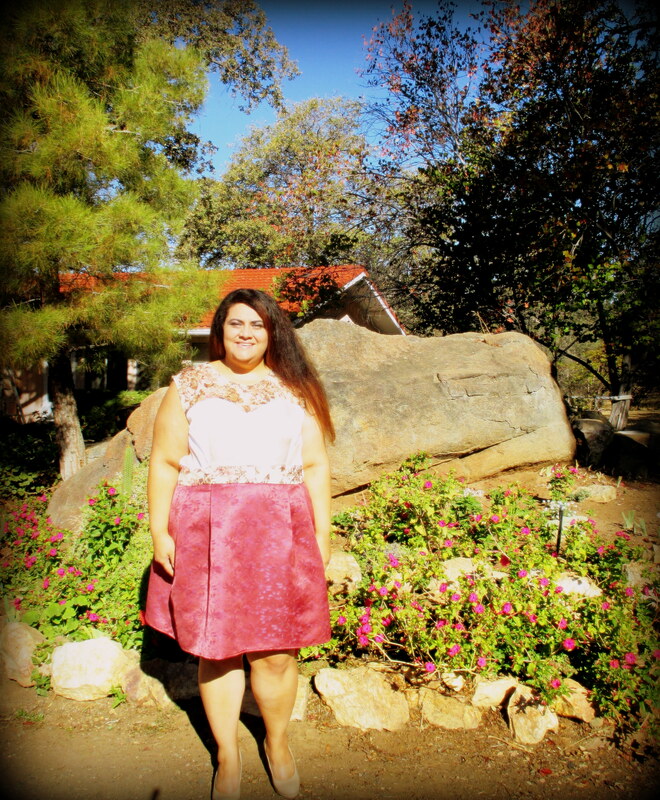 Perfect for a fall wedding! Thank you, Laurie! At least I got a new dress out of it! Really nice, Tanya and good for you for going ahead and making it! Thank you, Peg! I honestly thought about not finishing it, but I already had it started and had something to wear it, too, so I’m glad I did!